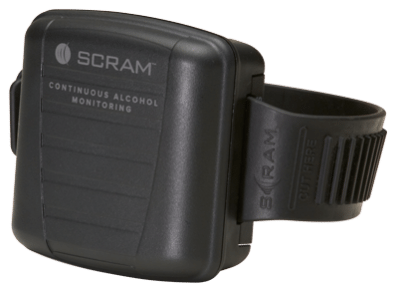 SCRAM Continuous Alcohol Monitoring® (SCRAM CAM®) is an innovative way of testing a participant’s alcohol consumption over a defined period of time. The tamper-proof SCRAM CAM® bracelet is worn on the ankle for between 1 day and up to as many months as needed. Its transdermal method of detection (through the skin) provides a comprehensive profile of a participant’s drinking activities throughout the entire day and night, every 30 minutes, 24 hours a day. 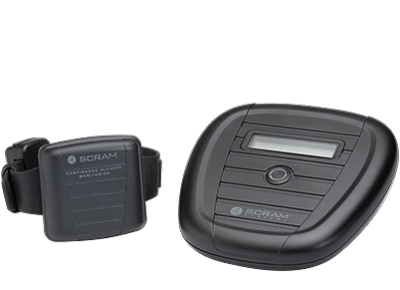 Unlike breathalysers, which provide a snapshot measurement, and hair strand analysis, which provides a historic overview over a period of months, SCRAM CAM® allows real-time, continuous monitoring. The state-of-the-art technology can register even very low alcohol consumption (such as 1–2 units). It can also distinguish between drinking and environmental exposure. The data speak for themselves: on any given day, 99.4% of all participants are completely sober and compliant while being monitored with SCRAM CAM®. This helps enforce participant sobriety, compliance and accountability. Why choose SCRAM CAM® alcohol testing? Do you any any more questions?